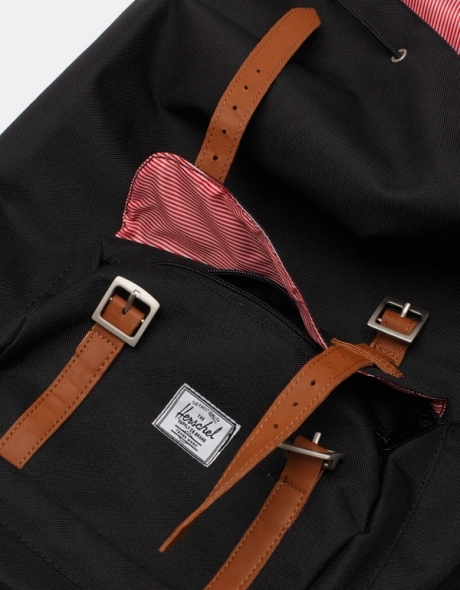 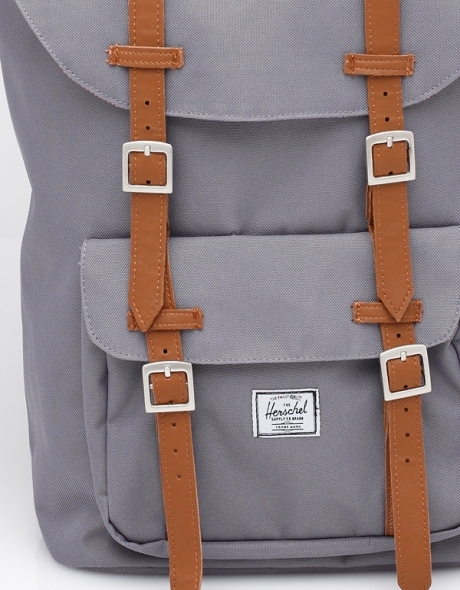 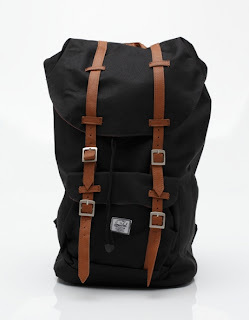 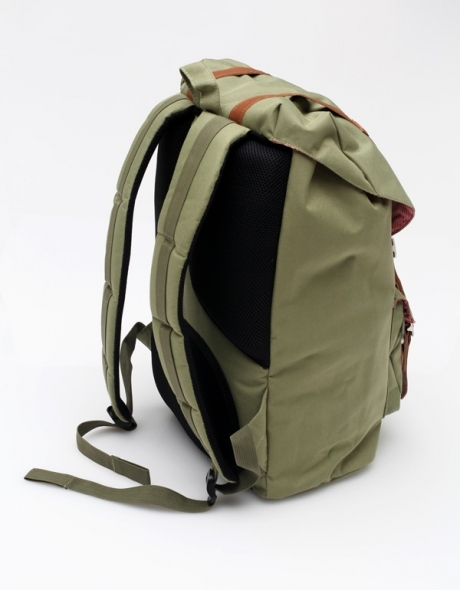 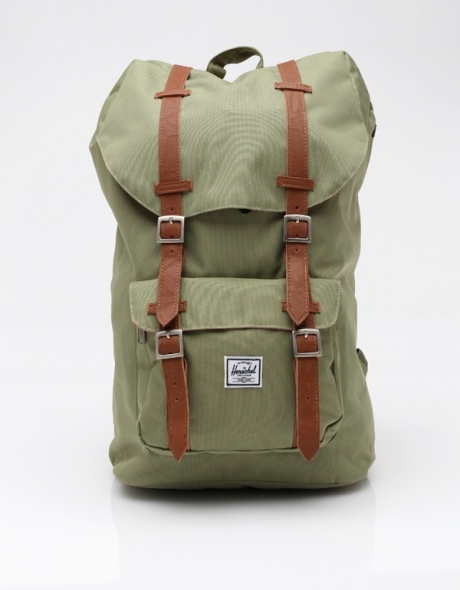 Founded by barrel maker, Peter Alexander Cormack and his wife, who immigrated from Scotland to Canada in the early 1900s, the Herschel Supply Co. produces well-designed and quality built bags which are inspired by vintage mountaineering, American heritage, world travel and fashion. 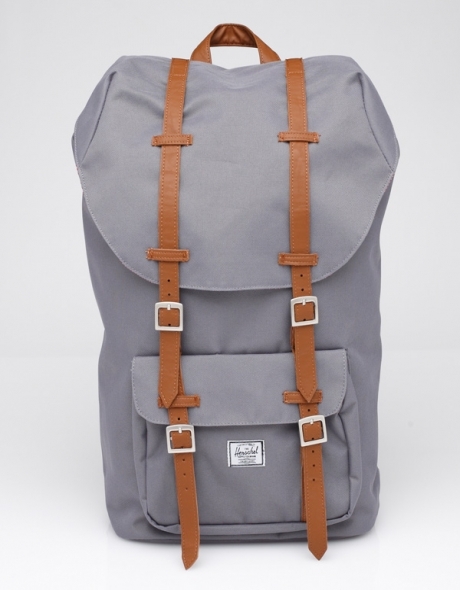 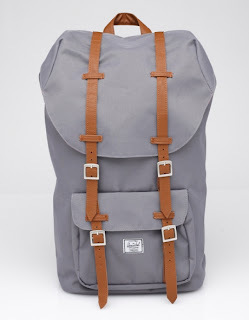 This backpack is presented in rust colour canvas with a red paisly lining and features faux leather detailing on the front compartment snap fastenings, soft padding on the back with contoured shoulder straps. 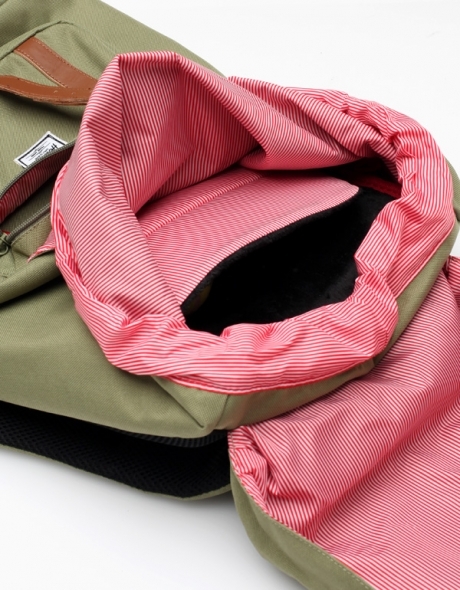 The bag also includes a built-in internal cushioned computer sleeve, the inner is lined with Herschels custom red and white pinstripe fabric and a headphone opening with inner MP3 player pocket. Measures approx 53 x 32 x 10 cms.